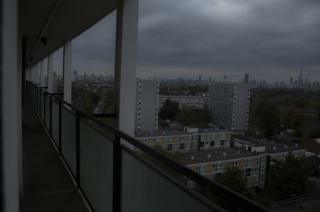 Walking behind the tall, concrete tower blocks of Brixton's Loughborough Estate there's an unlikely sight. 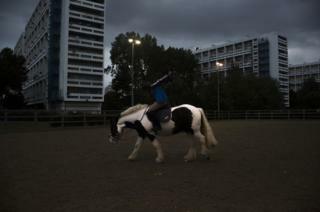 Against a backdrop of railway arches, young people trot around the floodlit manege of the Ebony Horse Club, an organisation founded in 2006 to teach equestrian skills to local children. 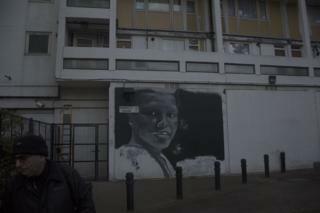 In this inner city neighbourhood, some children battle with a plethora of problems at both home and school, leading to truancy, high rates of teenage pregnancy, self harm and homelessness. These issues are epitomised by the murder of Nathan Foster - a member of the club - who was shot in gang-related activity just a year after it was founded. 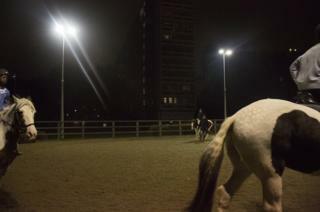 The organisation intends to be a safe haven away from these problems, mentoring children through a mix of sessions with youth workers, as well as helping them get into colleges and employment using their newfound equestrian skills. One member who benefited in this way is Natasha, who is now studying equine performance and business management at Writtle College, a partner of the University of Essex. She first came to the club when her confidence was at a low ebb. "If Ebony wasn't there for me, then I certainly wouldn't be in halls at university," said Natasha. "I don't know if I would have ever gone through any sort of higher education, since I didn't believe I had the confidence to study away from home." As well as building confidence and teaching a practical skill, working with the horses teaches the children responsibility as, in addition to riding them, they must groom and care for the steeds. Linda Hinds, the operations manager of the stables, also believes that due to the size of the horses, the children are made to think about their actions, giving many of them their first positive contact with an animal. 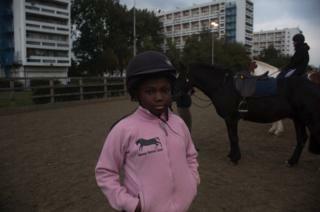 Nahshon is one of Ebony's oldest members, having started to ride at the age of nine. 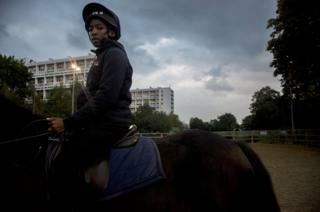 Having overcome a lot, he now works at Trent Park Equestrian Centre in North London. "Learning to ride kept me out of trouble, and being at Ebony definitely helped me become a better and more independent person," he said. "I was encouraged to step up and take control of my life. "Without it, my life would be very different, and I would probably would have been in prison. "In the future, I always want to be around horses." With membership numbers having grown from five to 79 over the past decade, about 140 young people now visit the centre every week. The waiting list is more than a year long, but priority is given to children from the immediate area, alongside referrals from social services and doctors, such as one young man with attention deficit hyperactivity disorder (ADHD). 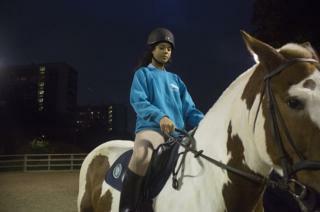 Lynden, 14, who has been riding for the past five years, said: "Ebony Horse Club pushes me to be more, and gives me time and space to let go of what's happening in the outside world." 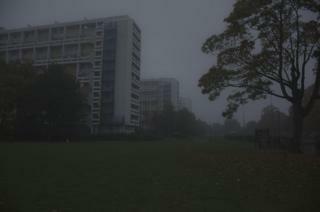 All photographs taken by Sophie Wedgwood.